From upper left corner: photo of Yosh Nakamura (July 1942); postcard from Setsuko Fuji to Joan Gillis (May 17, 1943); letter from Yosh Nakamura to Joan Gillis (July 25 1942); photo of young woman, Setsuko Fuji; and photo of Yosh Nakamura, Jackie Takahashi and friend on a tractor. UBC Library’s Rare Books and Special Collections has acquired an extraordinary collection of letters that provide unique insight into the devastating effects of the Japanese Canadian internment during World War II. 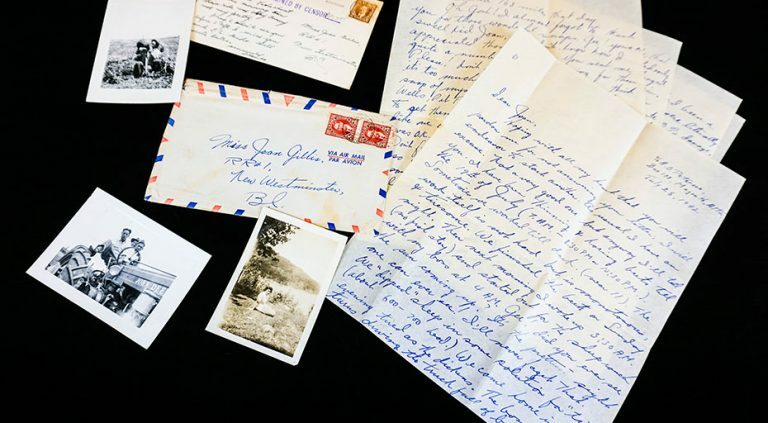 The collection of 147 letters, written to donor Joan Gillis in 1942 by a group of young Japanese Canadians she met while attending Queen Elizabeth Secondary School in Surrey, talk of daily life and the challenges faced by these young people after being ordered out of the “Security Zone” on the B.C. coast, and are filled with frequent references to acute homesickness and sadness at being removed from their homes. The writers range in age from 13 to 18. Some were very close friends with Gillis, while others were casual acquaintances. 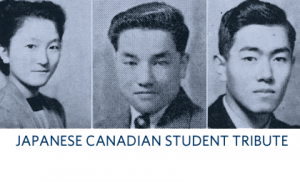 Laura Ishiguro, an historian of Canada and the British Empire at UBC, said the letters will be an important teaching tool at UBC, contributing to new and better interpretations in classroom discussions about the internment of Japanese Canadians. Henry Yu, a professor in the UBC history department, said the letters provide a window into the lives of school children going through a traumatic time in B.C.’s history. Letter from Masao Ujiye to Joan Gillis, 9 October 1943. UBC Library is pleased to be able to add this unique acquisition to its robust Japanese Canadian Research collection that includes materials on business and commerce, mining, farming, fishing, forestry, religious activities, education, community, reminiscences and biographies in addition to materials on the Japanese Canadian evacuation. 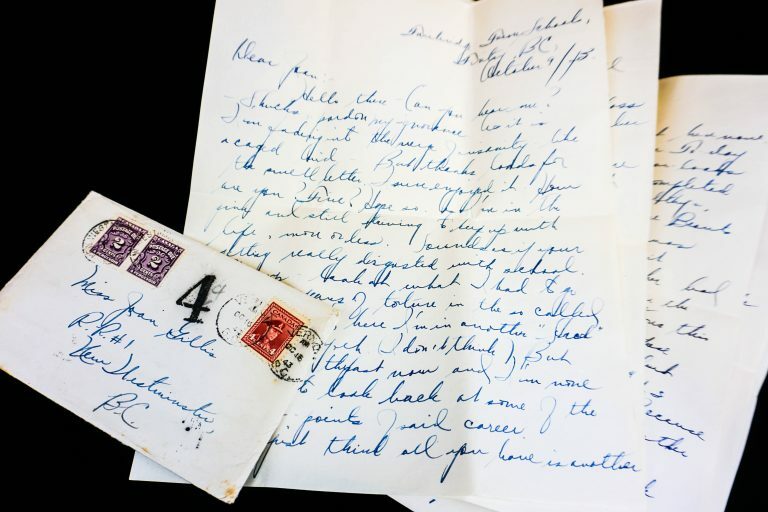 The letters, which make up approximately 300-350 pages, can be viewed in person by visiting Rare Book and Special Collections or by booking a tour.